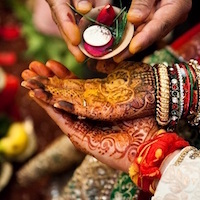 Bridal Kaleere have a lot of significance in Indian Weddings. 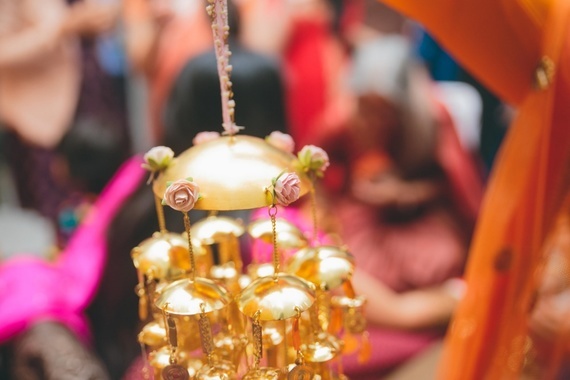 It is believed to bring good luck to the bride. Eariler, kaleere were made up of dried coconut, nuts and lotus seeds but with changing times, kaleere have evolved and are now available in a variety of styles and designs. Traditionally, these kaleere are gifted to the bride by their maternal relatives but nowadays, brides themselves chose to shop for this essential jewel. Flowers are generally loved by every girl. Wearing floral jewellery on mehendi function is quite common these days but former Miss India USA, Natasha Arora broke the norm and embraced the gorgeous floral kalire at her wedding, and it definitely looked extraordinary. There are kaleere that have tassels in them and they look amazingly cute. The best part is that you can buy the tassel matching your outfit. 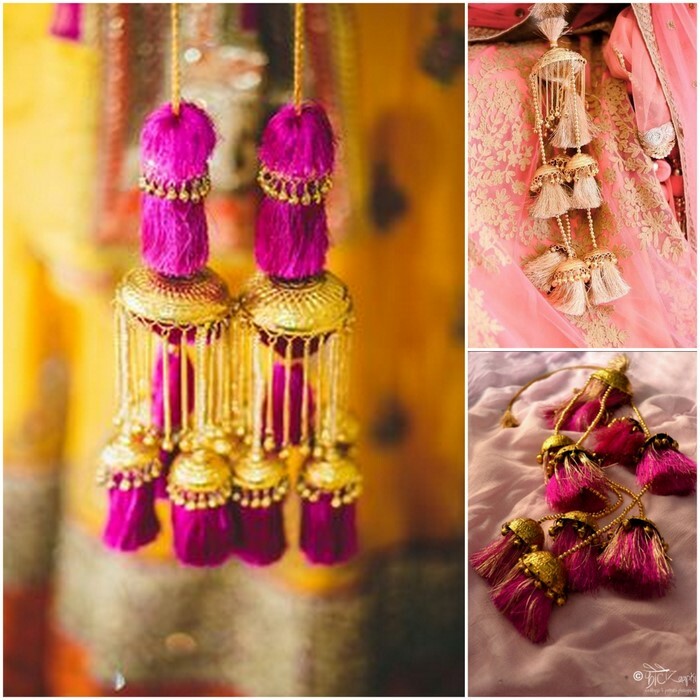 It is definitely for you if you want to go all matchy-matchy for your big day. If you don’t want to settle for gold, go the silvery way. Opt for the silver kaleere designs which will look classy with diamond jewellery and your lehenga design. This will not only look beautiful but will also have a very unique touch. If you want to look dramatically traditional, then these extravagant two tier gold kaleeres are the perfect fit for you. 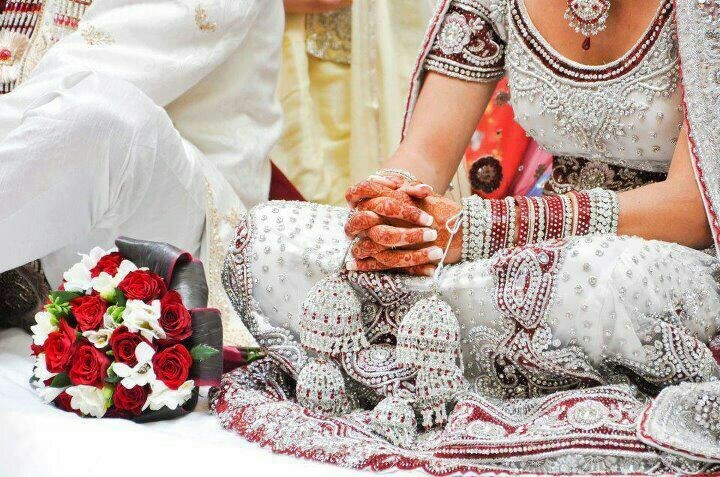 Mostly worn by typical Punjabi brides, they look really very beautiful and will surely be loved by all the dadis and nanis of the house. Roses are everyone’s favourite out there. May it be pink or red or white, everyone love roses. Roses symbolise love and having some of them on your good luck charm (kaleere) would be like cherry on the cake. These kaleere with pink roses intricated on them look literally heavenly. Keeping it simple with one big kaleera will definitely steal the show. This kaleera will be the talk of the town. They look royal and traditional. 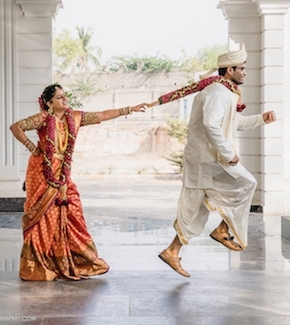 The one big kaleera concept nowadays is all over the wedding ceremonies. They look too elegant to handle! Normally, kaleere are tied in front of the choodas of the bride but these bangle kaleere will give you a different look. These bridal kaleere will suit with lehengas with more of a modern touch. 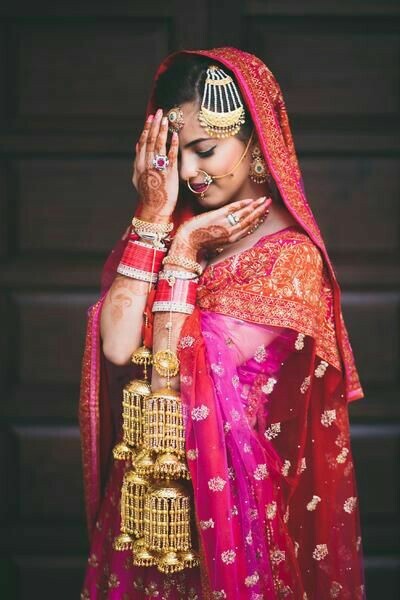 They look different and classy and these days brides love to go for these bangle kaleere on her wedding day. 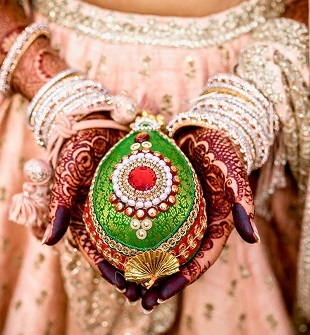 Bridal kaleere bring good luck into a bride’s married life. I hope you would have loved these bridal kaleere designs, do share your feedback in the comments below.